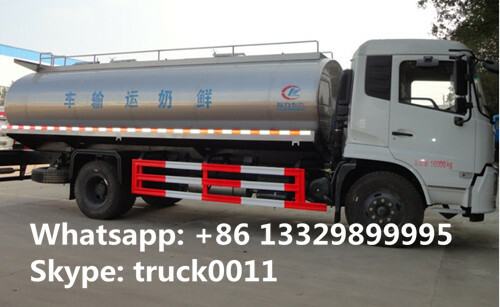 Milk truck is also called milk transport truck, milk transport trailer, milk tanker trailer, milk tanker, milk tank truck, milk tank truck, milk truck tank,liquid food truck,selling food truck,etc.which is mainly used for load and transport liquid food,milk, water,etc. 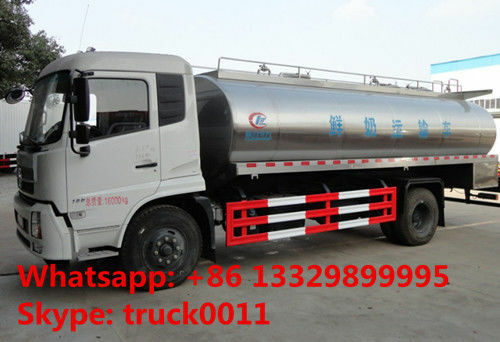 More pictures of hot sale dongfeng tianjin 8cbm-10cbm stainless steel milk tank truck for sale as below. Chengli Special Automobile Co., Ltd. is the leading manufacturer and supplier of milk truck, milk tank, milk tank trailer, tank truck for milk, stainless steel milk tank, food grade tanker, farm pickup tank truck, liquid food tank, milk trailer, etc. With many years’supplying, Chengli Special Automobile Co., Ltd. could supply 5000L-25000L milk tank truck, 30000L-50000L milk tank trailer, dongfeng milk tank truck for sale, FAW food grade milk truck for sale, ISUZU milk truck for sale, Forland milk truck, liquid food transported tank truck,etc.More information, please feel free to contact with Ms. Anita Deng.